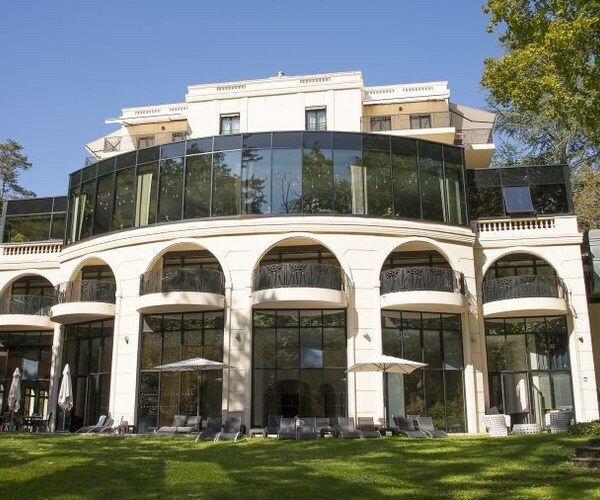 Le Pavillon de la Rotonde Hotel is ideally located in the heart of Charbonnières-les-Bains, just a few minutes from Lyon. 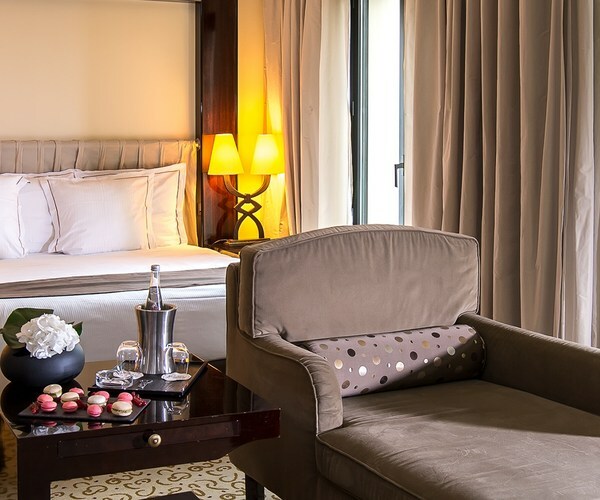 Eight Deluxe rooms and 8 Junior suites are available in elegant and tranquil surroundings. Contemporary and Art Deco in style, the 8 Deluxe rooms and 8 Junior Suites all combine chic, sophistication, harmony and comfort. All rooms have a terrace for enjoying the view over the parkland which covers several hectares and is filled with ancient trees. 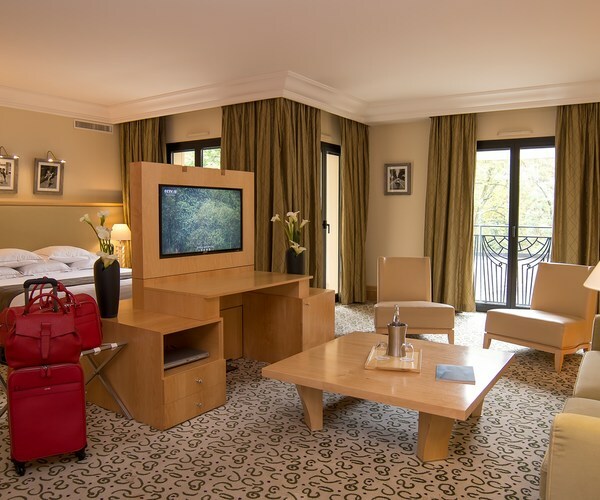 With generous proportions, each of the Deluxe Double Room offers the same level of comfort: 55m2, wireless, coffeemaker, Iphone and Ipod base, flat screen TV, DVD player, safe, air conditioning, private terrace, spacious bathroom with bath and shower, a direct access to the SPA. Combining lounge, deep sofa and varnished table, the Junior Suite (75m2) offers a steam shower and a bath in a spacious bathroom. They are equipped with wireless, coffeemaker, Iphone and Ipod base, flat screen TV, DVD player, safe, air conditioning, private terrace, spacious bathroom and a direct access to the SPA. For any stay with a family, some of them may be interconnecting with Deluxe rooms. 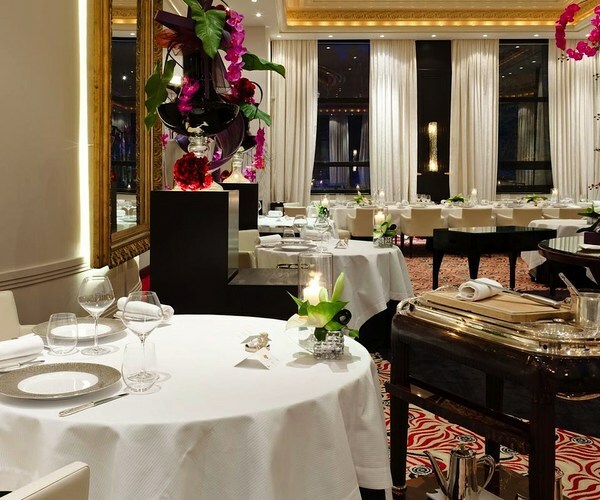 The Domain “Le Lyon Vert” invites you to taste refined dishes at “La Rotonde”, two michelin stars restaurant. With a magnificient view on the park and Art Deco in style, La Rotonde is located on the 1st floor of the “Casino Le Lyon Vert”. Chef Jean François Malle offers a wide range of tempting dishes, created with imagination, flair and artistry. For any casual diners, you may want to try the Brasserie Le CAZ or relax with a drink in the bar. The Spa is 900 sqm of luxury devoted to your wellbeing. 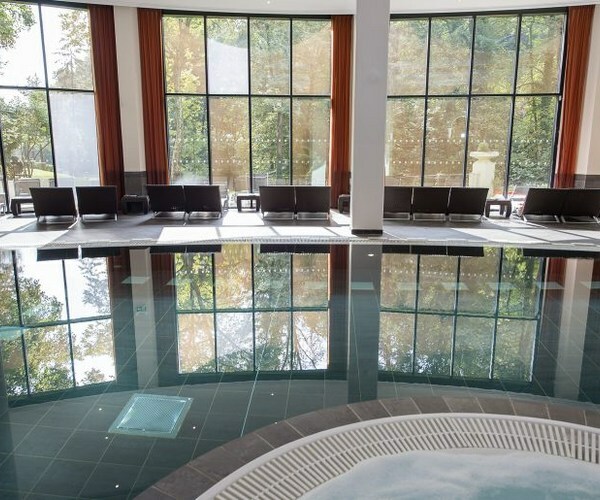 It comprises a heated pool, sauna hammam, jacuzzi, fitness room and several treatment rooms, as well as a nail bar.